So you want to skate? See you at the Shell. 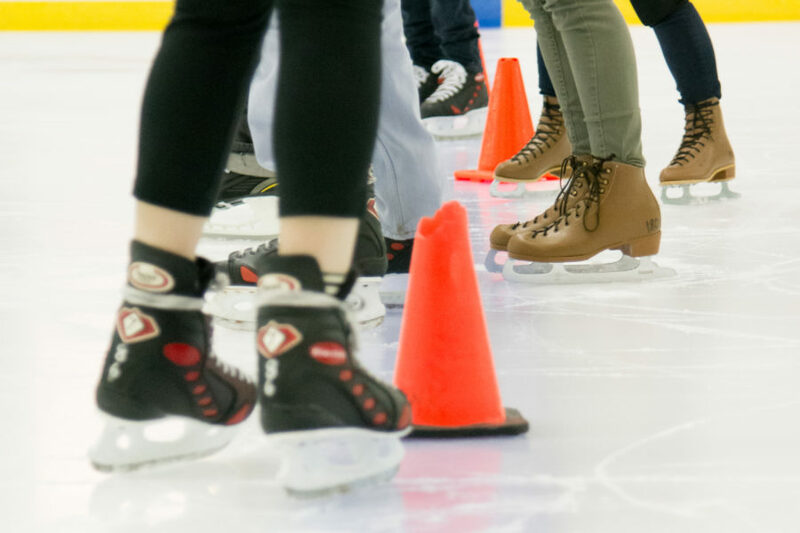 Learn to skate – or skate around in circles – at the ice rink. Instructional lessons and informal Open Rec opportunities are both available in the historic space, where you can also rent equipment and/or lockers to store your own onsite. A valid Rec Sports membership or photo ID card is required. A valid Rec Sports membership or photo ID card is required. Open to all Shell ice rink users. Available for purchase at the Shell Member Services Office. Purchase a Skate Pass for unlimited access to our Open Rec Skate, Open Hockey*, and Stick & Puck* at the rink! *Participants in Open Hockey and Stick & Puck must be at least 18 years of age. UW Student $30/Semester $50/Fall + Spring Open to enrolled UW-Madison students. Available for purchase online or at the Shell Member Services Office. $40/Semester $70/Fall + Spring Open to anyone with a current Rec Sports Membership. Available for purchase online or at the Shell Member Services Office. $50/Semester $90/Fall + Spring Open to any non-Rec Sports Member. This pass includes only ice rink usage during Open Skate times. Available for purchase at the Shell Member Services Office. Private skate lessons will be offered at select times during Open Skate. If interested in personalized, one-on-one instruction, please register through the link below. Signing up for one session includes three 30-minute lessons. We are no longer accepting private skating lesson requests. Request will reopen in August. Grab your friends and learn a new skill at the Shell! 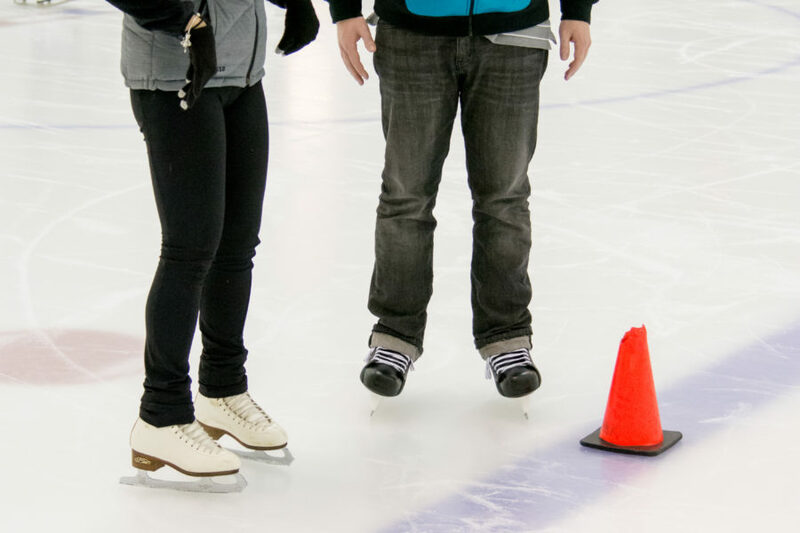 Semi-private skate lessons consist of 2-4 skaters and an instructor during Open Skate. We do not pair up groups for semi-private lessons. You must provide the names of the other skaters in your group when you register. Signing up for one session includes three 30-minute lessons. 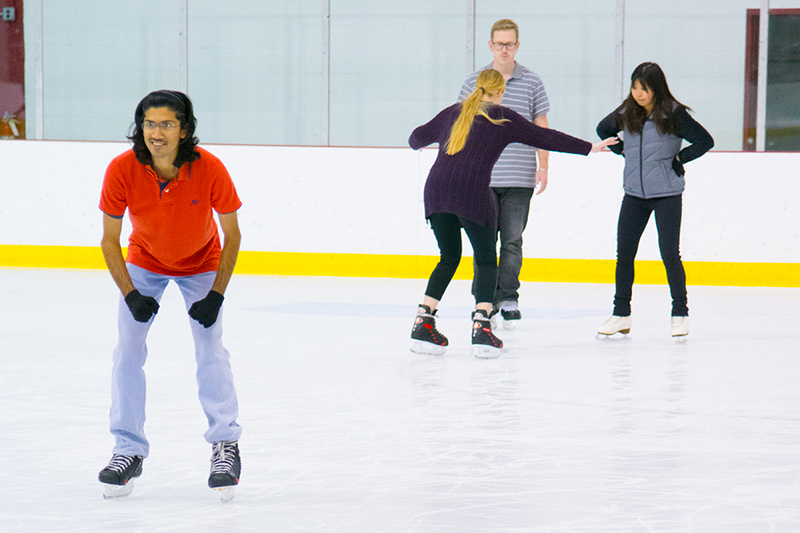 * Pricing includes both ice and skate rental costs. * Price includes price per person. SKATE, SWIZZLE, AND SLALOM THROUGH OUR DIFFERENT LEVELS. Lessons are available for all UW students, Affiliate Rec Sports members, and Community members. 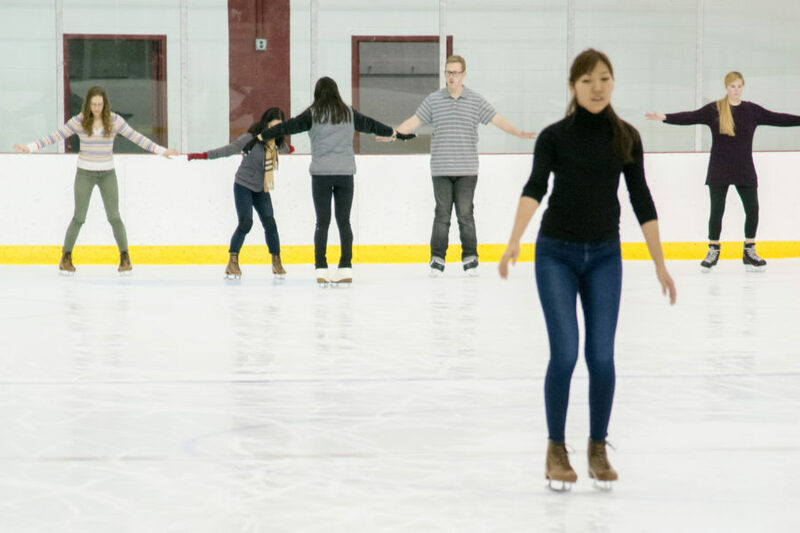 All classes include a free skate rental. Most classes meet once a week for four weeks. 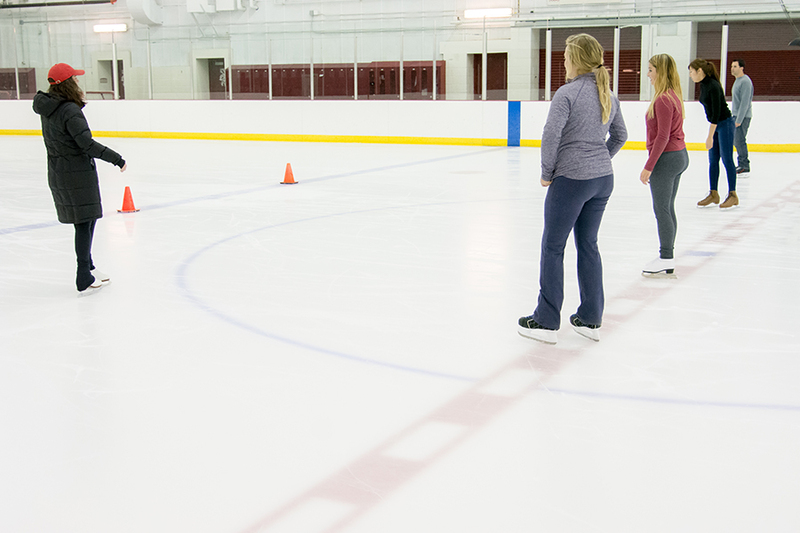 Gain confidence on the ice while learning the basics of forward and backward skating and stopping. Build your confidence as you continue to develop and learn new skills. Continue to build on skating skills.